It was a fantastic night for Northumberland businesses at the 2015 North East England Tourism Awards last night. In her welcome speech at the event, Chief Executive of NewcastleGateshead Initiative Sarah Stewart said this year’s awards were “the biggest yet” which saw a record-breaking 120 businesses submitting entries into the awards. From there, 58 businesses were shortlisted across 15 awards categories showcasing the wide variety of quality tourism businesses throughout the North East region. 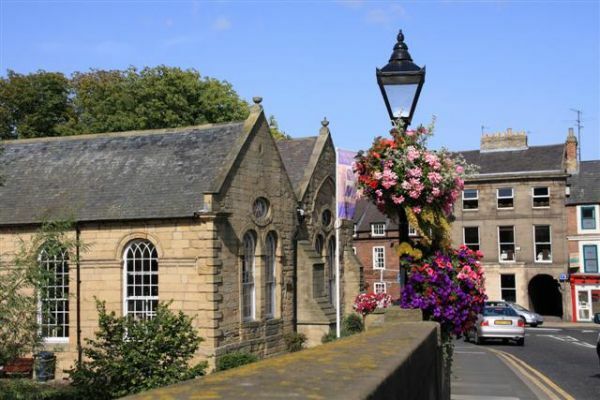 Northumberland businesses were shortlisted in eleven categories. From that, they scooped seven Gold awards, along with a further five Silver, five Bronze and four Highly Commended awards. It was a particularly successful night for St Cuthbert’s House B&B, who won Gold for both ‘Bed & Breakfast/Guest Accommodation of the Year’ and ‘Sustainable Tourism’. Other Gold award winners were Bamburgh Castle Inn, Leaplish Waterside Park, Morpeth Tourist Information and Craft Centre, Blacksmith’s Cottage, and Kielder Observatory. All winners now have the opportunity to compete nationally at VisitEngland’s Awards for Excellence in 2016. In last year’s awards, Northumberland business Matfen Hall Hotel, Golf & Spa won Gold in Large Hotel of the Year and went on to win Gold nationally, meaning they were officially recognised as the best in the country. Jude Leitch, Director of Northumberland Tourism, is thrilled with the result: “This is a fantastic achievement for Northumberland businesses. Our tourism offering is growing year on year, so it is great to see all efforts rewarded with such regional recognition.